Mike Foley will convene a CIO review panel to look at the strategy and plans for the next phase of the merger of the seven district councils and one regional council comprising the ‘Supercity’. Mike Foley, head of information services at Auckland Council, would know. 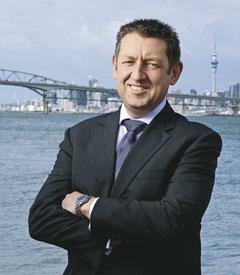 He is going through his fourth merger in his career, and says the one at Auckland Council is the most complex from a technology viewpoint. “It is a complex beast,” says Foley, on the ongoing integration of systems at the council, which began four years ago with the merger of the seven district councils and one regional council in Auckland. “It is more difficult, because of the number of entities [involved],” he explains, referring to the three other corporate mergers he has worked on during his career. “Four years ago, when we came together as one entity, we had a set of legacy council systems in place still; around 5000 in total. Some of those were of the same brand in terms of functionality, but underneath when you look at the configuration, they are all different. It is planned over time to reduce this number down to around 300. When people ring the call centre, there are approximately 35 different ones staff have to utilise. These will obviously be rationalised down to one. An example one of these is the Request for Service systems, Foley says. “When people ring the call centre, there are approximately 35 different ones staff have to utilise. These will obviously be rationalised down to one. “It is a complex, detailed process to go through given the interdependencies between the systems,” he says. Since the formation of the Supercity, the council has consolidated a number of features, including reducing the 12 data centres into two. The data centres have been outsourced, so the council is running infrastructure-as-a-service with Revera. Through this consolidation, the council has migrated over a thousand servers to the new environment, reducing the total number previously utilised by a further 800. 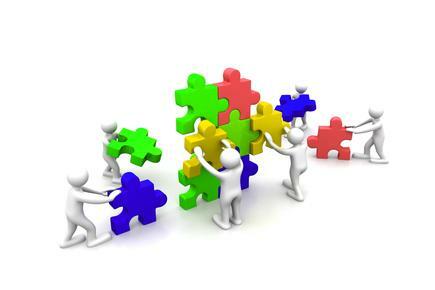 The information services team is concurrently working on 120-plus projects of various sizes. The largest one is NewCore, Foley says, which aims to consolidate core customer facing systems and processes for customer interaction, regulatory services, and rates for the former eight councils. The original business case for the project was $71 million, but this projection was revised to include, among others, $60 million in “uncovered complexity” following due diligence and $13 million in “extended testing”, according to the council’s IS Transformation Programme Update. NewCore has a three-year delivery timeframe, explains Foley. The first tranche will be delivered in July 2016 to coincide with the new financial year. The rest of the project will be delivered in July 2017. “We have a roadmap that lays out where we want to be,” he says. “We have gone through the due diligence process and determined the elements that we need downstream as part of the transformation program. The key challenge, he stresses, is the scale of the project and its complexity, and making sure they cover legislation within the technology footprint. He says there is also the expectation of ratepayers, who in today’s world are used to doing transactions online or through mobile devices. For the systems integration, Foley says the council had looked at other government bodies in the UK, Europe, and Asia Pacific, as well as other commercial organisations that have undertaken mergers. The CIOs came from different industries including banking and transport, and from two other organisations that were doing “large scale corporate mergers”. He adds that some members of this “reference group” have since changed roles, but he will bring them back in for another review early next year. “I will reconstitute the group back together again to verify what we are doing today is still the right strategy and relevant,” he says. Foley will also invite a CIO from a company that provides “purely online” products or services as the technology landscape has changed since he convened the first panel. According to Foley, the council has also transitioned into a at its new building that housed staff who used to work in several buildings across the CBD. People can operate on any floor in the building that used to be the headquarters of ASB. There are ‘static locations’ for those teams that need to be based in a specific location. But the rest of the organisation operates a “flexible working” practice and without permanent allocated desks. There are zones, for instance, for the ICT team that operates over three floors. But the teams can work across any of the floors. The call centre system, meanwhile, has also been moved to the cloud. This has allowed the call centre people to work in disparate locations, and allowed flexibility around workforce management. Gartner says while mergers and acquisitions (M&As) are usually associated with the private sector, just as much activity occurs in the public and not-for-profit sectors. But CIOs in these organisations may find the process more challenging, says Gartner in its report entitled Mergers and Acquisitions: Integration Without Tears. Among the reasons for this is the increased scrutiny in public sector mergers, coming from various stakeholders including officials, government watchdogs and citizens. Another factor is “mixed focus” as these agencies usually have no choice but to support major public initiatives. This may reduce their focus on the integration activities. The report notes the public sector often has extra constraints when dealing with staff issues, which can increase the time it takes to make staff changes. Also, working with vendors and partners involves more constraints and bureaucracy compared to the private sector, according to the report by Gartner’s CIO and executive leadership research group, led by Dave Aron. Establish a comprehensive two-way communications program that uses several channels, covering everyone’s preferred way of receiving information and talking back. These can range from “broadcasts” (intranet pages, newsletters, FAQs); to interactive forums (town hall meetings, blogs); and personal contacts (one-on-one meetings, email and telephone hot lines). CIOs must be vigilant about identifying people uncomfortable with, or overwhelmed by change, and then take swift remedial action.